London constituency between Dartford and Bromley. Famous for, along with it’s predecessors, for being Sir Edward Heath’s seat from 1950-2001. 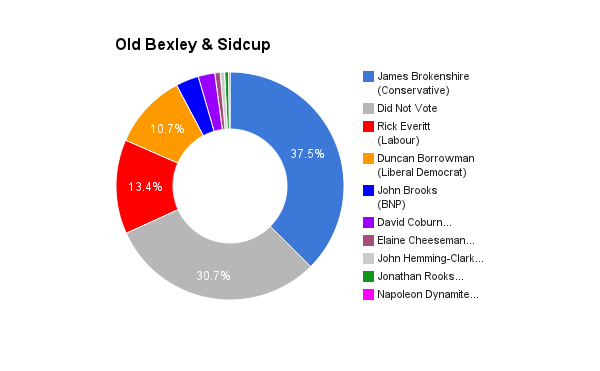 The current representative is the Conservative Party’s James Brokenshire who served as an MP in another constituency in the 2005-10 parliament but has since represented Old Bexley & Sidcup.